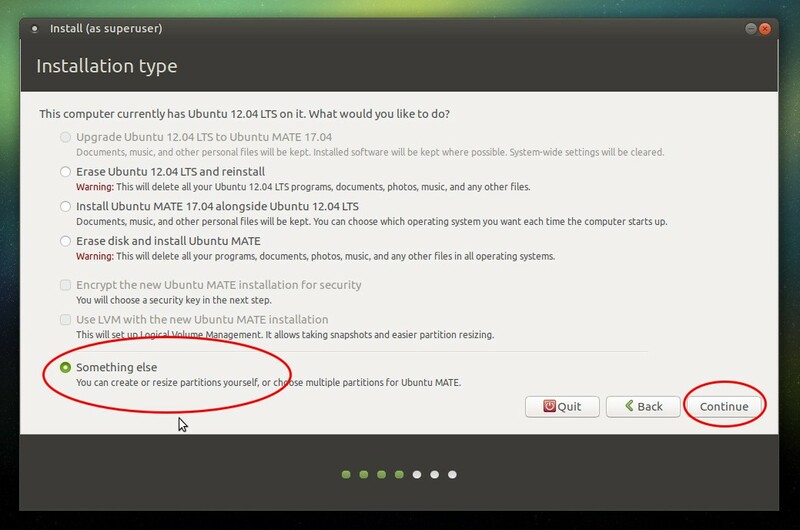 This tutorial explains how to install Ubuntu MATE 17.04 for beginners. 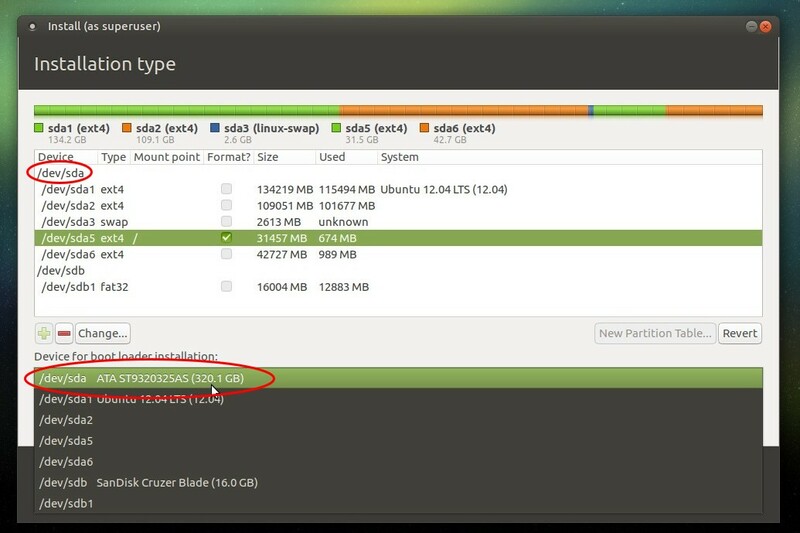 It requires a main partition at least 20GB, and (optionally) a swap partition at least 1GB. The whole installation progress takes only around 10 minutes, including all hardware drivers. You can install 17.04 as a replacement for Windows or even dual-booting with it. 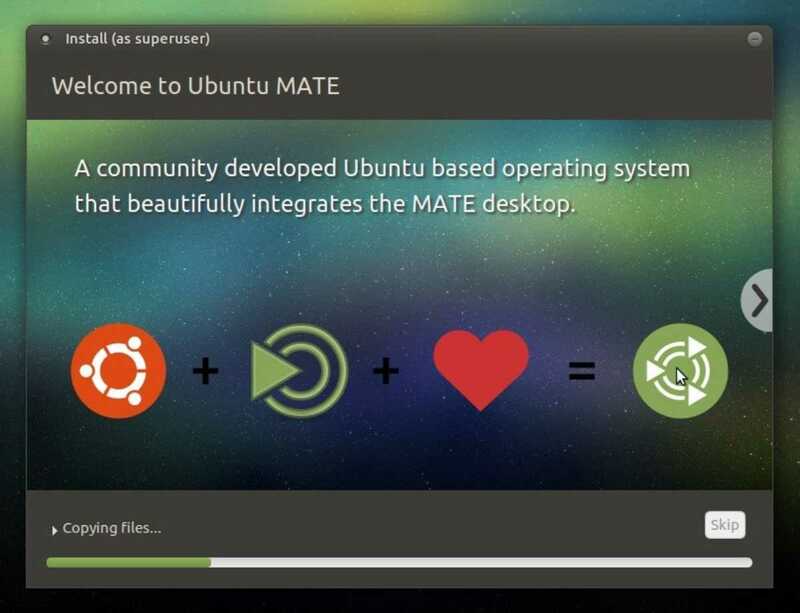 Be happy with the secure, free as in freedom, and complete OS Ubuntu MATE! This article is about installing. 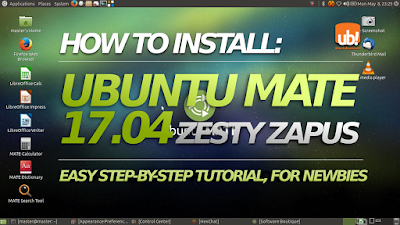 If you're looking for something else, we have Ubuntu MATE 17.04 review, 17.04 family download links, and what to do after install. 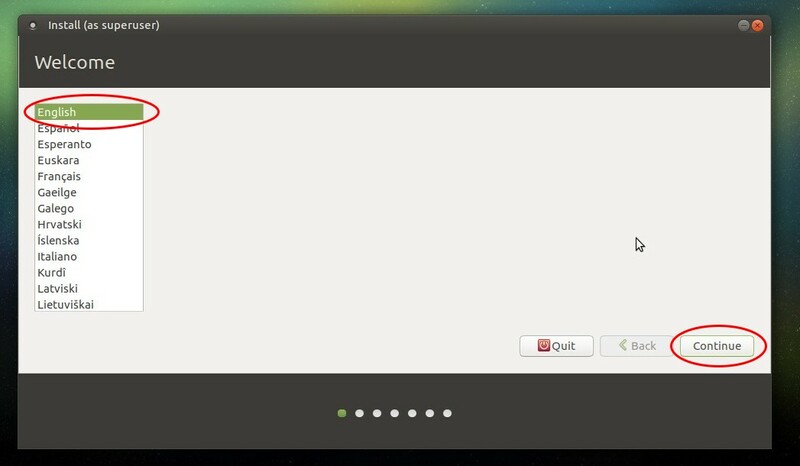 Get Ubuntu MATE 17.04: download the ISO image here. If you want to cut download cost, zsync does a great job. Create two blank partitions: one main partition at least 20GB, and (optionally) one swap partition at least 1GB. It's better to prepare partitions before actual installation. 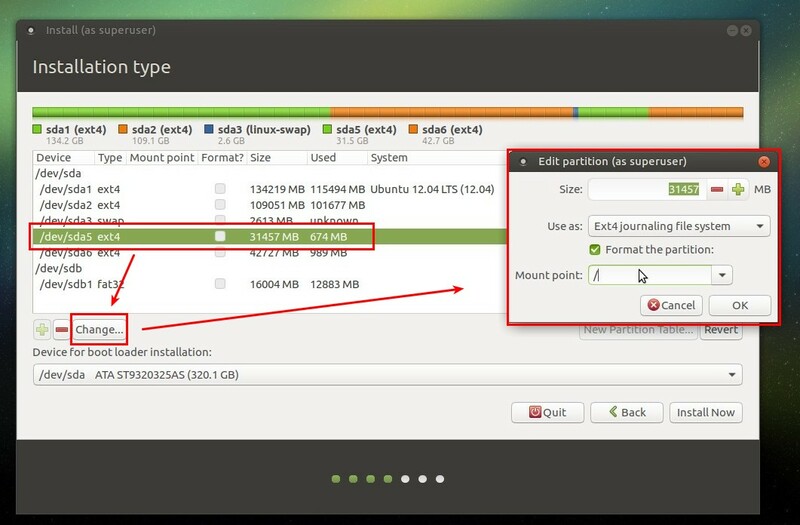 Create bootable media: burn Ubuntu MATE image into USB drive. You can use Unetbootin (available for Windows & GNU/Linux) or Disk Utility (Ubuntu built-in). Backup: make backup for you important data and pay attention while installing. Don't be sleepy. 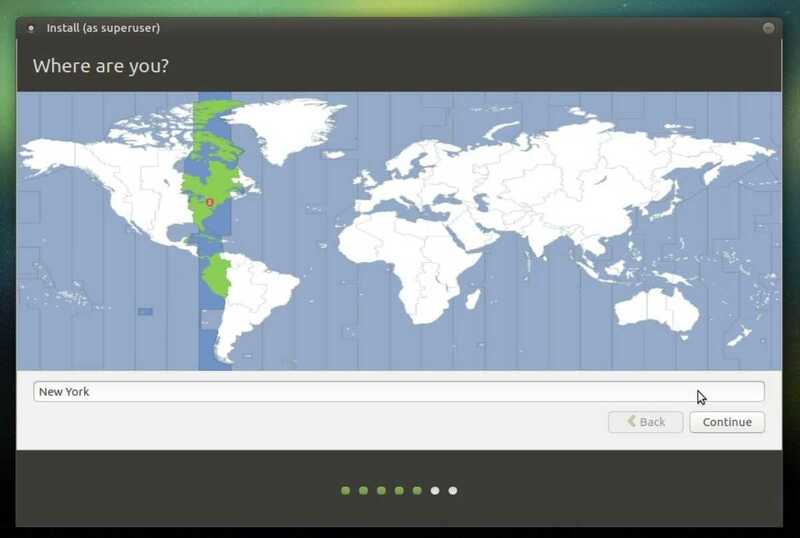 Example: I installed Ubuntu MATE 17.04 on my ASUS X44C laptop with /dev/sda5 30GB as main partition, /dev/sda3 2GB as swap partition, and /dev/sda as bootloader location. 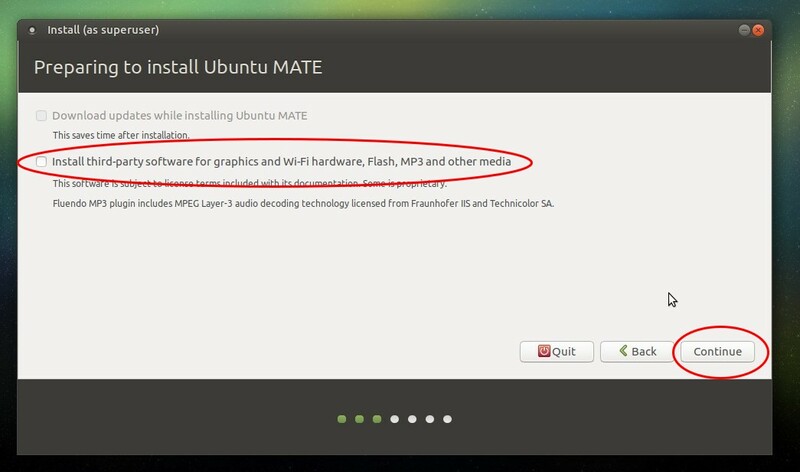 Plug your bootable media in and set your BIOS to to enter Ubuntu MATE 17.04. 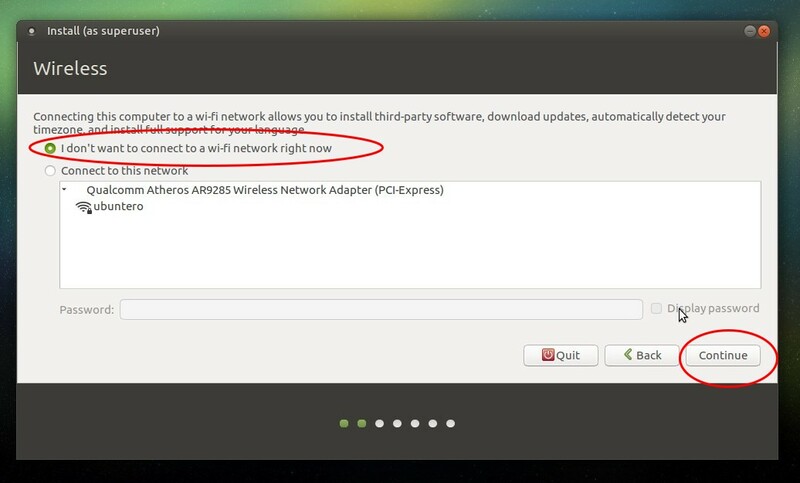 In selection screen, choose "Try Ubuntu". Then run the "Install Ubuntu MATE 17.04" icon on the desktop. First step: choose a language. 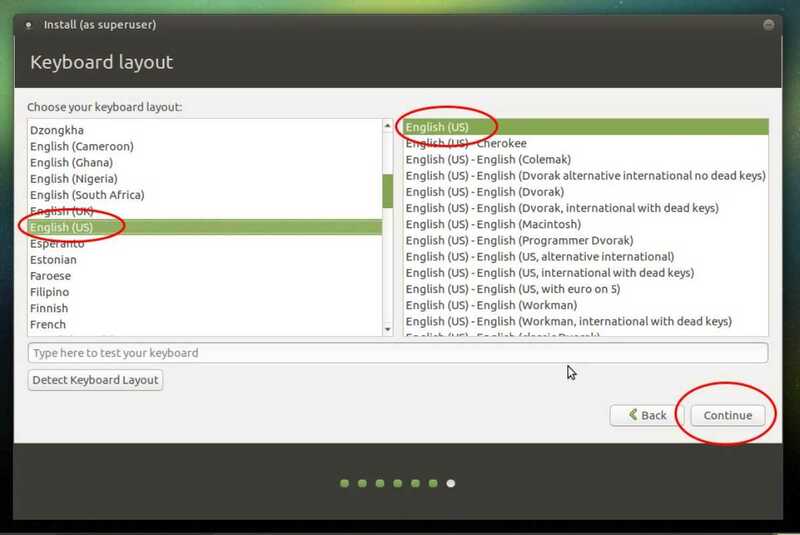 This is the language of the further whole interface of Ubuntu MATE. For this example, I choose English. Second step: choose "I don't want to connect..." so the installation will go quicker. Third step: blank any option for downloading. This also makes the installation quicker. Fourth step: choose "Something else" option. This option will bring you to the full control partition manager. Fifth step: this is the partition manager. Choose your previously-prepared main partition > press Change > determine Size=<as is>, Use as="EXT4", Format="check on", Mount point="/" > press OK. See picture below. 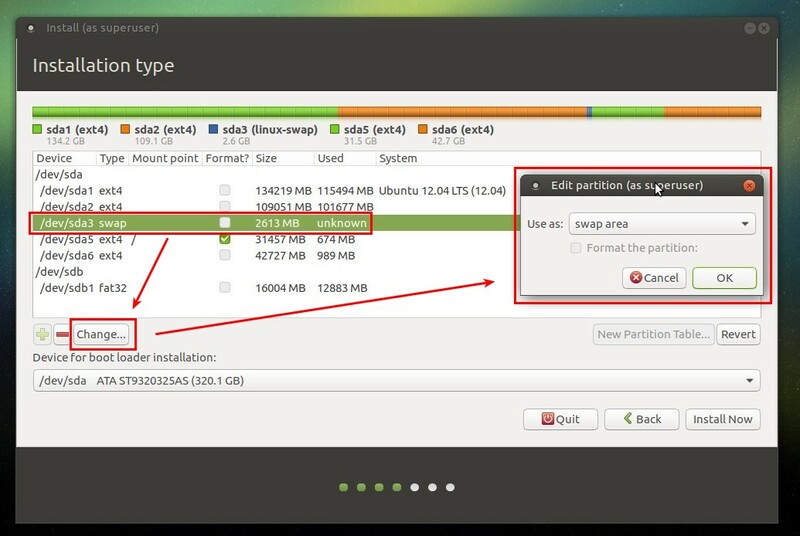 Sixth step: still on the same partition manager, select your second previously-prepared partition > press Change > determine Use as="swap area", Format="check on" > OK. Seventh step: choose the location for bootloader. This should be the parent disk of your main partition. Suppose the main partition is /dev/sda5, then the correct bootloader location is /dev/sda. The unnumbered one is the parent. Eighth step: press "Install Now" button. 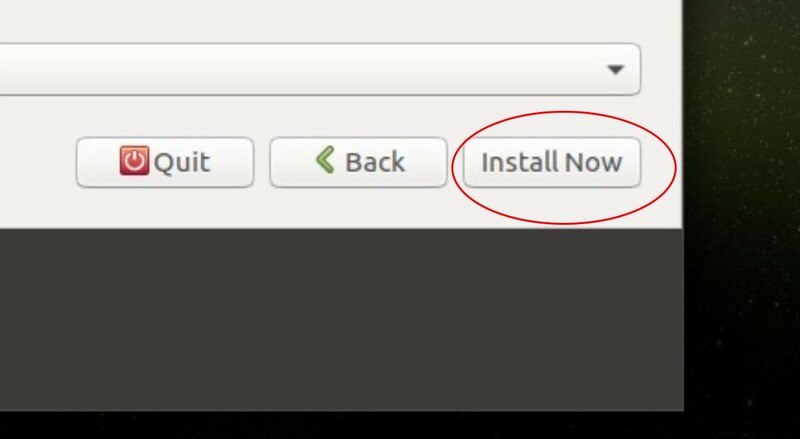 Once you press this, you cannot go back and the actual installation will be going. Please make sure all your settings from Fifth-Seventh steps are all correct. Choose your geographical region. This determines your time and date setting, including currency and local formatting. Choose your keyboard layout. The default choice is safe, but if you don't use English-US, you may choose Japanese or Arabic layout instead. Determine your username, password, and computer name. 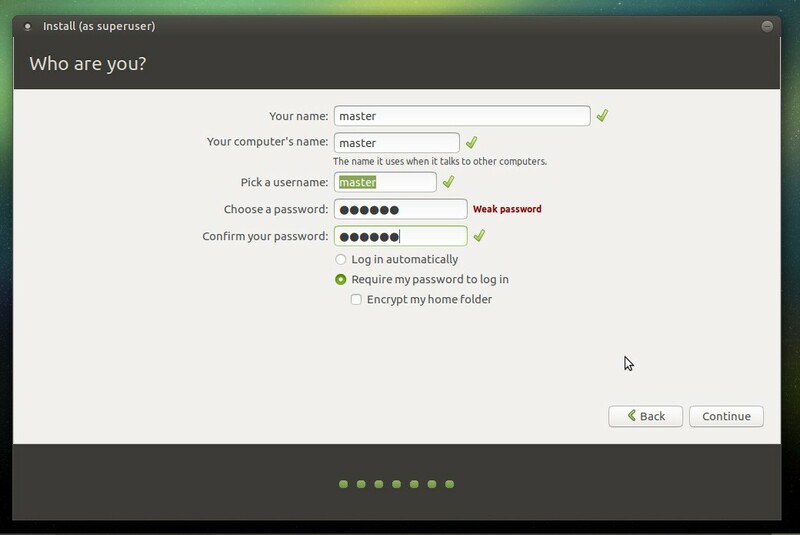 Tenth step: after entering all user info, the installer will show you a beautiful slideshow introducing Ubuntu MATE. Behind this, the actual installation is going and you can see the progress by clicking white triangle below. Total installation duration on my laptop is only around 10 minutes. Once finished, the installer prompts a dialog for you whether stay on Live Session or restart instead. 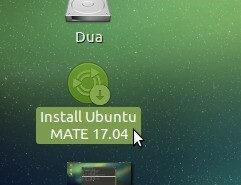 You can choose "Restart Now" and use Ubuntu MATE 17.04 happily.